This lovely couple pose ”Sshhh… I love you ”, is such a beautiful pose for lovers and those who wanna be. INFO : For this pose you need the “point” hand from SLINK . This Shoes are for the Slink AvEnhance Feet Male Flat , you will need those feet to wear them..
Glitter Eyeshadow – Headturners (coming soon). * Hud with 12 style for the Shirt, 2 styles for Parts and a hide and unhide option for the shirt. With that perfect storm, we also need some perfect boots. 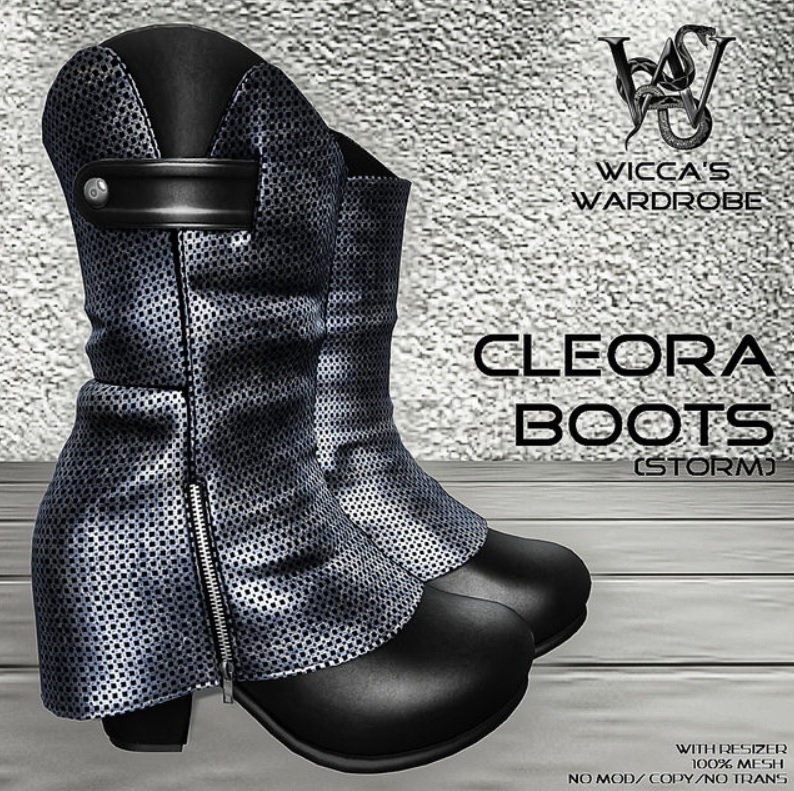 Wicca Merlin of Wicca’s Wardrobe created these awesome Cleora boots for The Gypset Market. Cleora is a black calf boots with a shoes cover made of a shiny silver/black fabric detailed with a zipper at the sides of the boots. 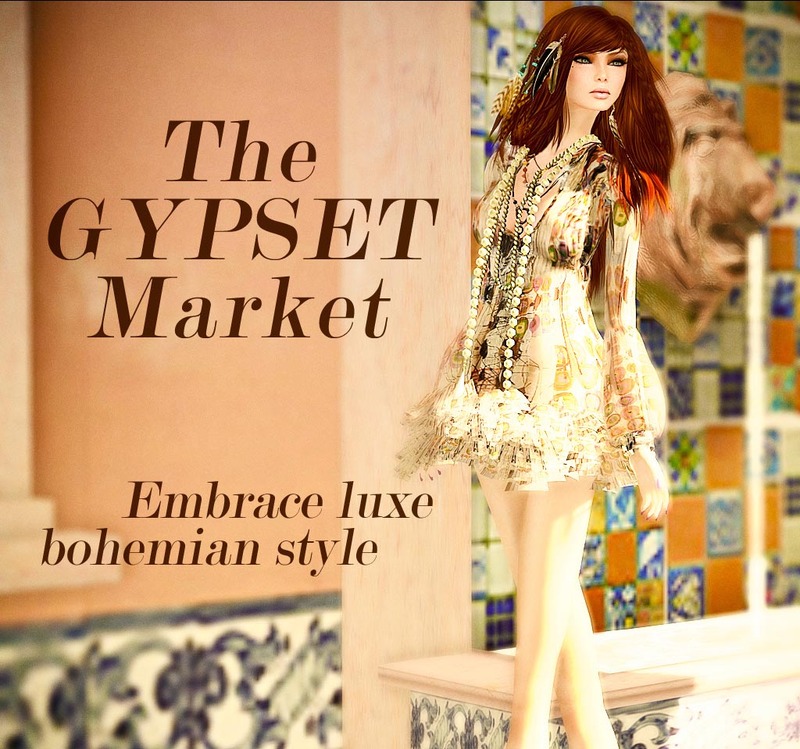 One of the beautiful items you will find at the Gypset Market this month, is this outfit from SKY called White Tiger. A beautiful short skirt and jacket with a very lovely tiger texture. Including this outfit these warm long boots in the same texture. A great outfit for the coming winter ! !